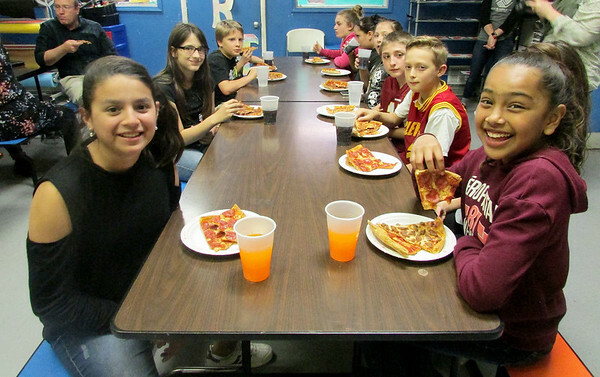 A group of talented artists had a cozy little pizza party at the Joplin Boys and Girls Club on Tuesday. They were participants and winners of the annual "What Does a Home Mean to You" Fair Housing Poster Contest. Seventeen fifth-graders participated, and all of their posters will be honored during an April Joplin City Council meeting. The top three winning posters — from Yulianna Barajas (first place), Sherlyn Rivas (second place) and Paris Romero (third place) — will be displayed on public billboards throughout Joplin.